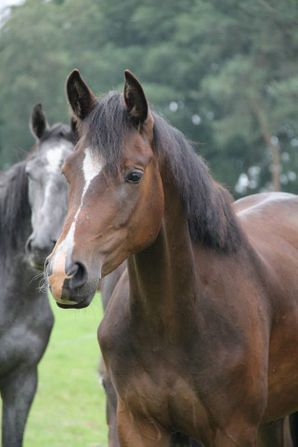 When we purchased Apolaris last July, she had already been covered by VDL's newly acquired Cantos - it was our good fortune that she was indeed pregnant! 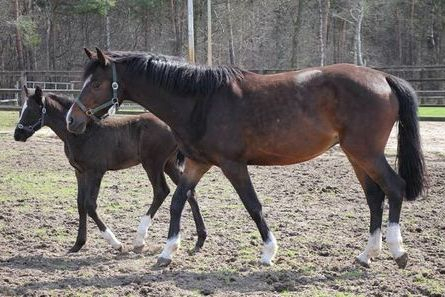 June 08, 2011 - It's a filly!! 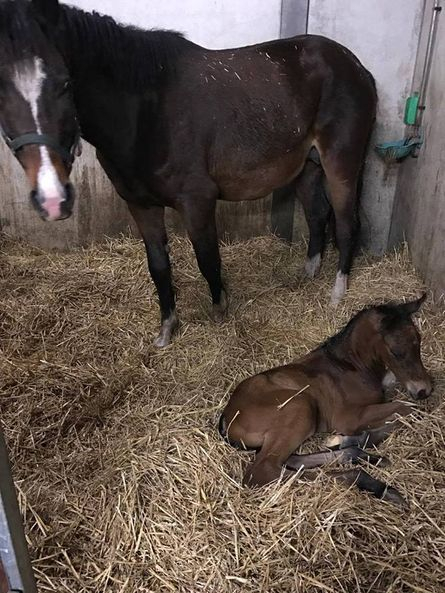 Born around 2:00 am, Apolaris graced us with a very beautiful filly. We let my brother name her, and he has decided on "Gwenhwyvar". A Welsh spelling for "Guinevere", the wife of King Arthur in Arthurian legend. It is also in homage to the black panther of Drizzt Do'Urden, in the Forgotten Realms fantasy book series. Apolaris and Gwenhwyvar around 10 days old. 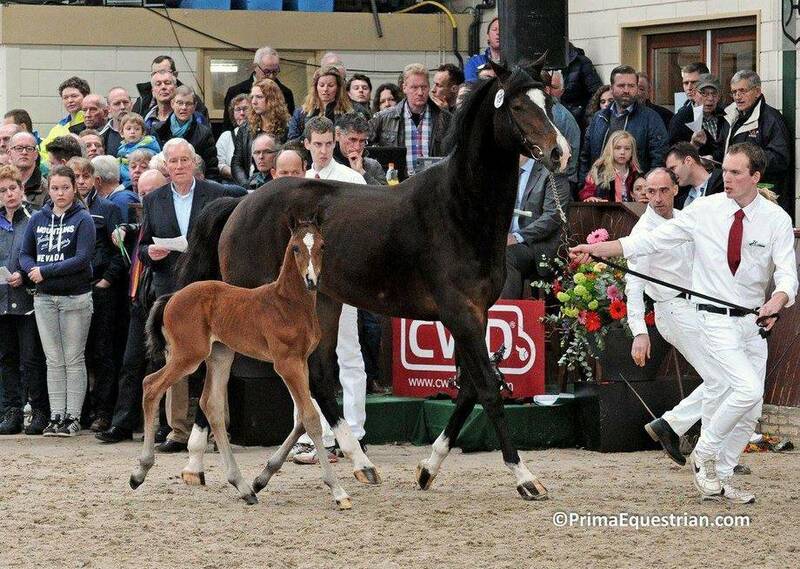 We decided to send Apolaris and Gwenhwyvar to the foal show, and I am so glad we did! Gwen scored a first premium and placed second in her class. She just narrowly missed being invited back in to the championship round! 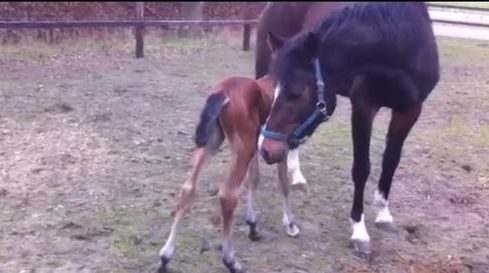 The video was taken the day after the foal show. "Gwen" is finally growing up! 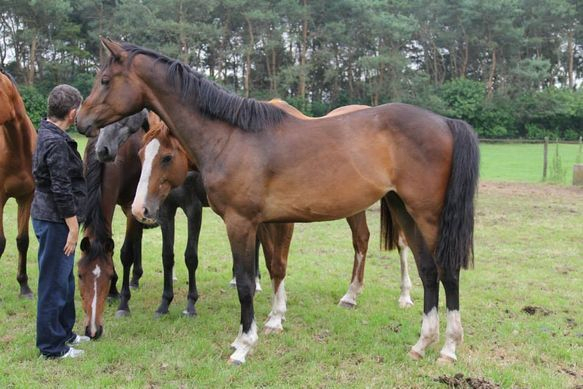 Still living life in the fields with the other mares, you can catch glimpses of the mature mare that she will become! I am looking forward to attending her keuring next year. Now the big question is to whom do we breed her next year?? 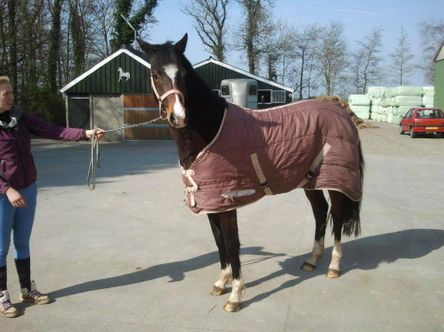 Gwenhwyvar has just come in from the fields to begin her training for her July keuring date. Her she is all cleaned up for the first time!! I was very impressed by Gwenhwyvar's beautiful exterior and calm interior! 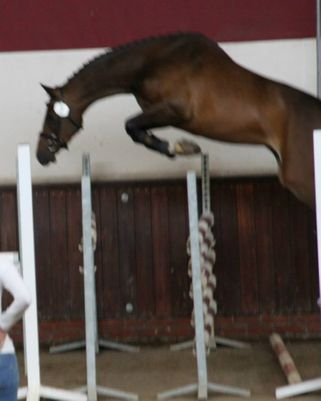 Her first attempts at free jumping weren't all that bad either!! Covered on Sunday May 04 - we are now in the two week wait for a little black dot on the ultrasound. 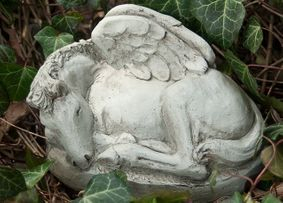 We have selected Kannan as he brings power, movement and scope to his offspring. 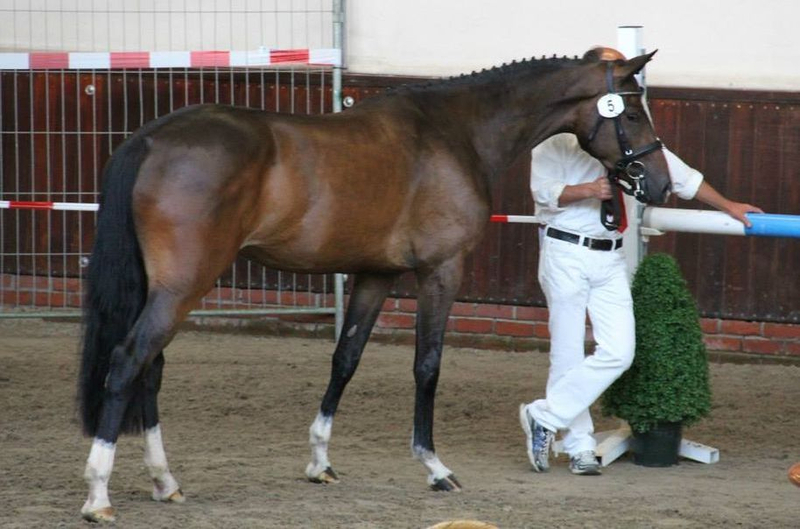 It also doesn't hurt that he is placed second in the 2013 WBFSH rankings - making him the highest ranked KWPN stallion. May 19th - We have a little black dot!! 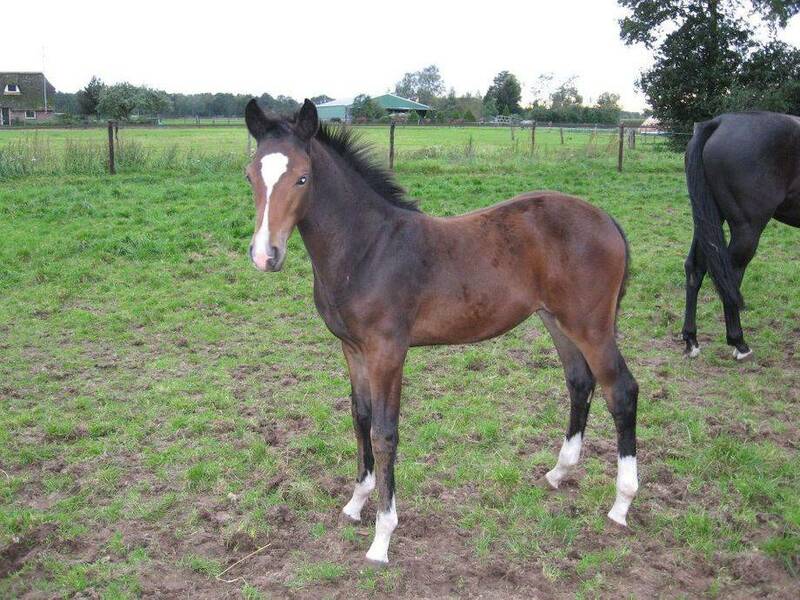 If all runs smoothly we should expect a foal early April 2015! 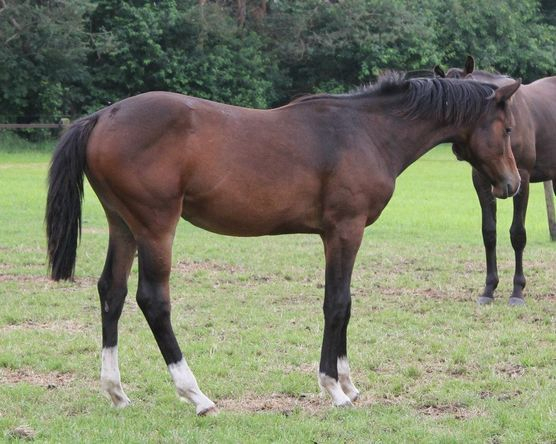 I am very pleased to report that we have another ster mare!! She scored an 80 for conformation and a 75 for jumping. Placing third in her group, Gwenhwyvar received her provisional keur status at the Central Keuring this afternoon. 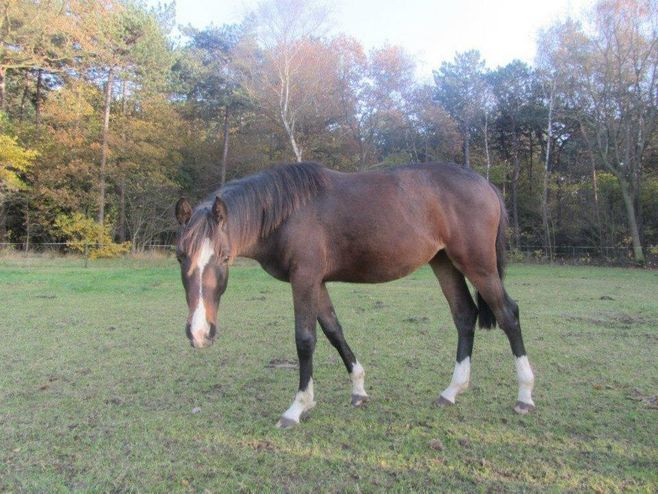 Now the plan is to get her started under saddle and perhaps to her IBOP before she returns to the fields and settles to the life of a broodmare as we patiently await for the safe arrival of her first foal next spring! Gwenhwyvar is now under saddle and preparing for her IBOP. 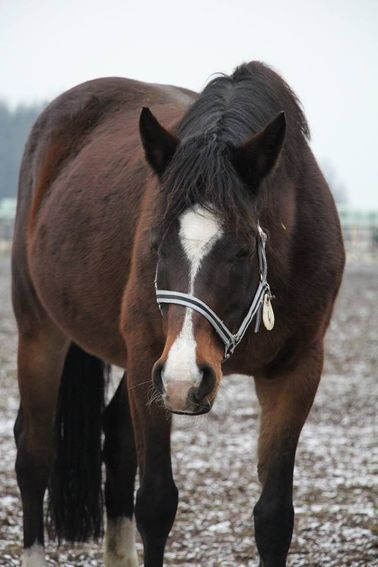 As we do not want her to get too heavy in foal before her test, she is scheduled to participate on September 24th... We will see how she continues to develop under saddle and make a final decision about sending her closer to that date. 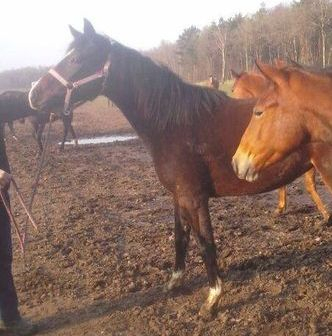 Gwenhwyvar is now a keur mare! She has passed her IBOP with a score of 75.5. 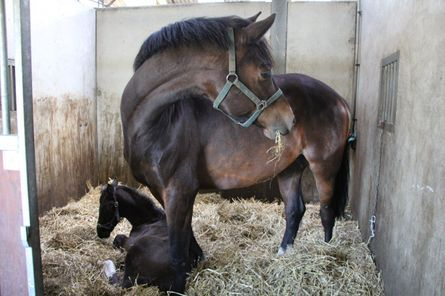 Sadly, Gwenhwyvar aborted her Kannan foal, a black filly, four weeks early. Thankfully, Gwen seems to be recovering well with no ill health. We will give Gwen a little time to recover and then choose who to bred her to this year. 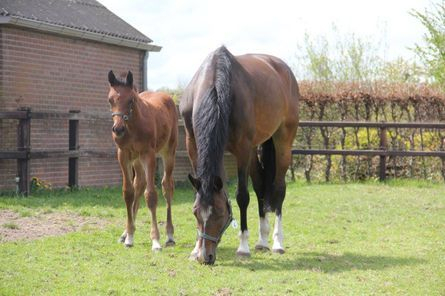 2015: Pregnant to Glenfiddich VDL! 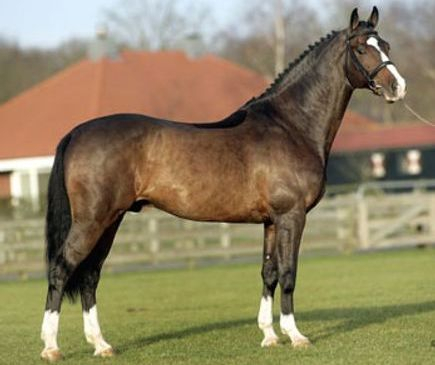 We have chosen to try breeding Gwenhwyvar again and have selected Glenfiddich VDL to be the sire. 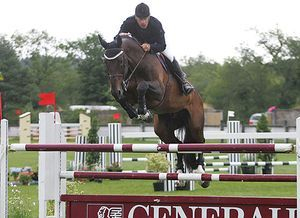 Glenfiddich is a well-developed stallion with unlimited scope, a great technique and a lot of jumping intelligence. 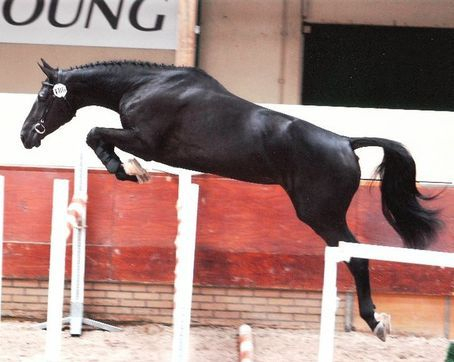 He canters with a great deal of power and did a good KWPN Stallion Test. In total he scored 79 points, to include a 8.5 for his scope. 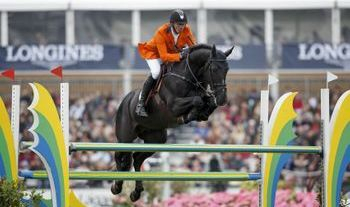 For canter, rideability and mentality and talent as a jumper he scored an 8. 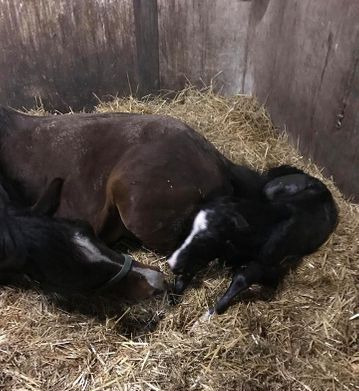 March 20, 2016 - It's a filly!! Gwenhwyvar has gifted us with a beautiful carbon copy of herself! 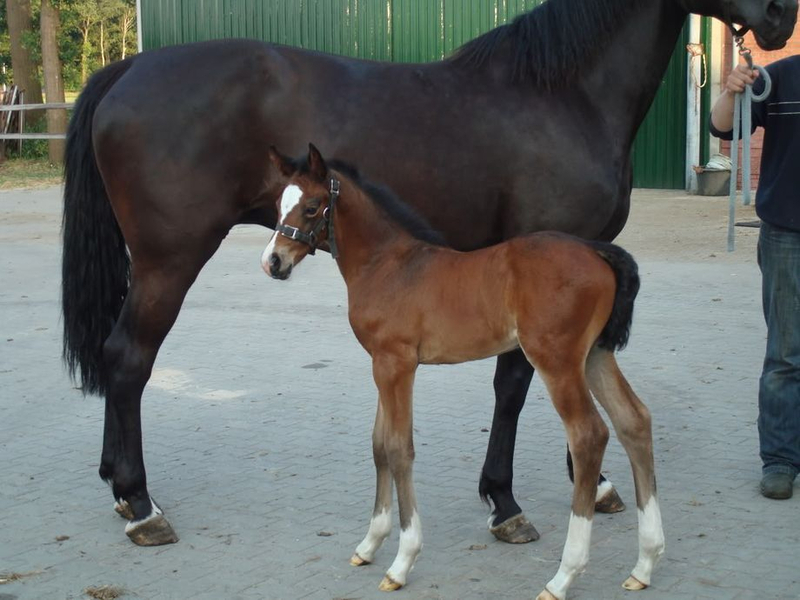 Glenfiddich has helped make the filly taller and longer lined, just what we wanted!! 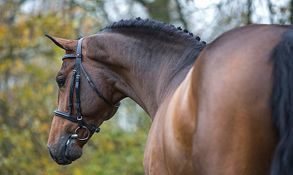 VDL must be pleased with what they see in little Ladyhawke as she has been invited to participate in the annual VDL stallion show to demonstrate the quality of foals that Glenfiddich is producing. 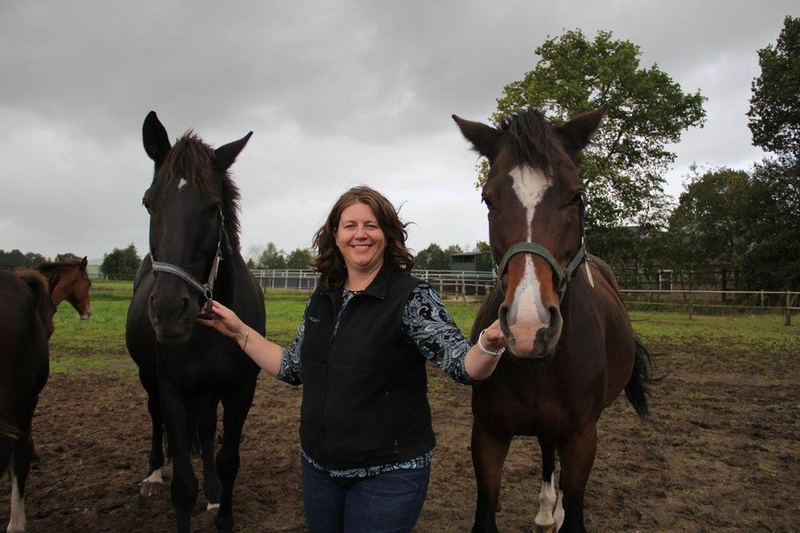 2016: Pregnant to Glenfiddich VDL!! We were so happy with how Ladyhawke turned out that we have decided to repeat the cross, and I am thrilled to report that we once again have a 19 day pregnancy to the great Glenfiddich VDL. Gwenhwyvar earns her elite predicate!! 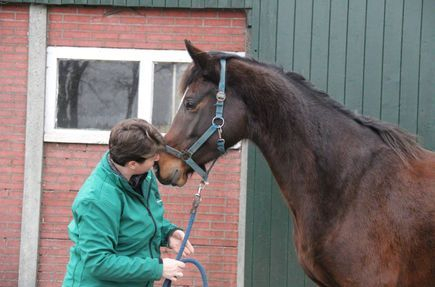 Gwenhwyvar has passed the KWPN's new DNA test for OCD inheritance, this now takes the place of the prok x-ray requirement and qualifies her for the elite predicate!! 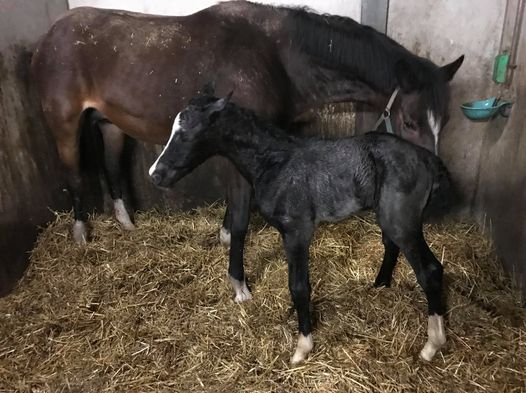 February 27, 2017 - It's a colt by Glenfiddich VDL!! Gwenhwyvar and Macallan's first couple of outings. 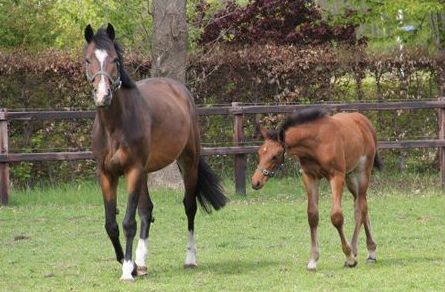 Once again I am thrilled to announce that VDL has selected Gwenhwyvar and her Glenfiddich foal to participate in the annual VDL stallion show!! 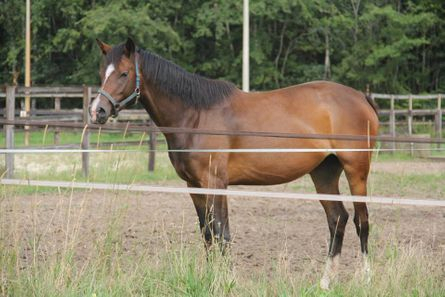 Maybe one day Macallan will be a part of the show as a licensed stallion!! October 02, 2017: Mother and Daughter!! 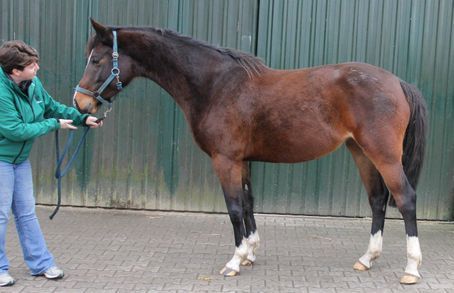 Excited to report that Gwenhwyvar is once again pregnant to the remarkable stallion Kannan. We can only hope for the safe delivery of this special package early next year. Size and scope should be a guarantee!! 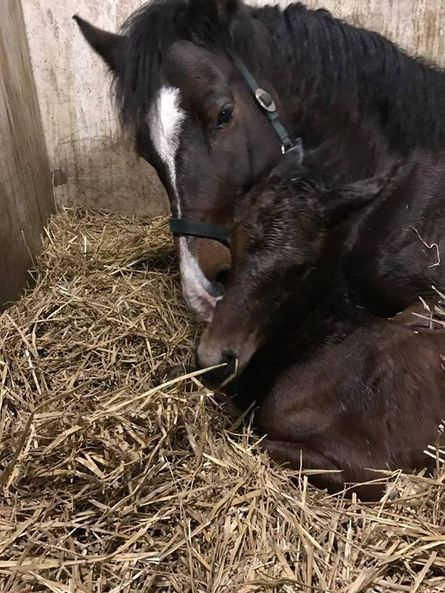 March 06, 2018: It's a colt by Kannan!! 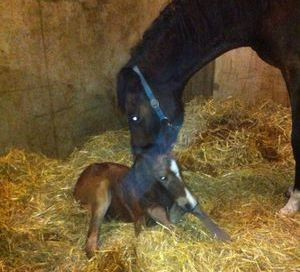 Once again Gwenhwyvar has delivered an absolutely stunning foal. This young man is certainly going to be tall!! 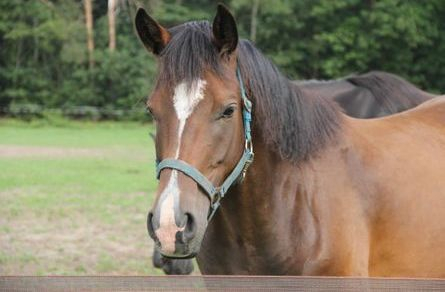 I just love the look of him and can only imagine what type of sport horse he will become once under saddle in a few years time. 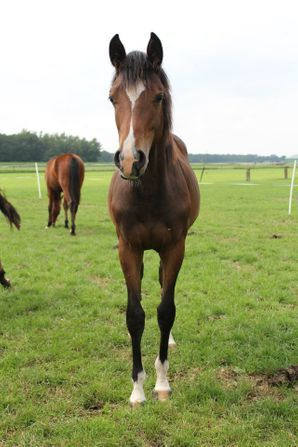 Unsure whether to keep Gwenhwyvar solely as a broodmare, or to consider getting her sport predicate, I left the decision up to her. 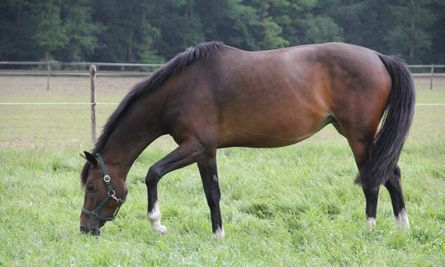 One breeding attempt to get pregnant and stay a broodmare, or if not, back under saddle. I am happy to report that Gwenhwyvar is expecting a foal by Glasgow van't Merelsnest for next spring. 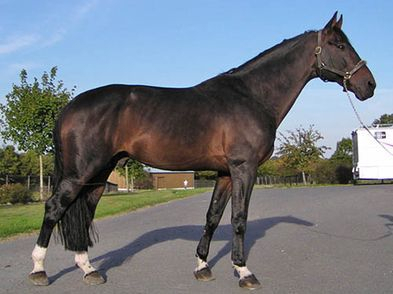 Glasgow is an exceptional and interestingly bred stallion, being by Nabab de Reve and out of the full sister to Sapphire. 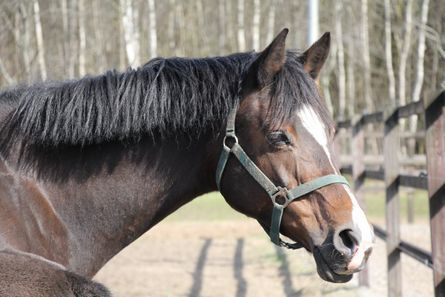 He is a well-developed stallion with height and length and jumps with scope and care. 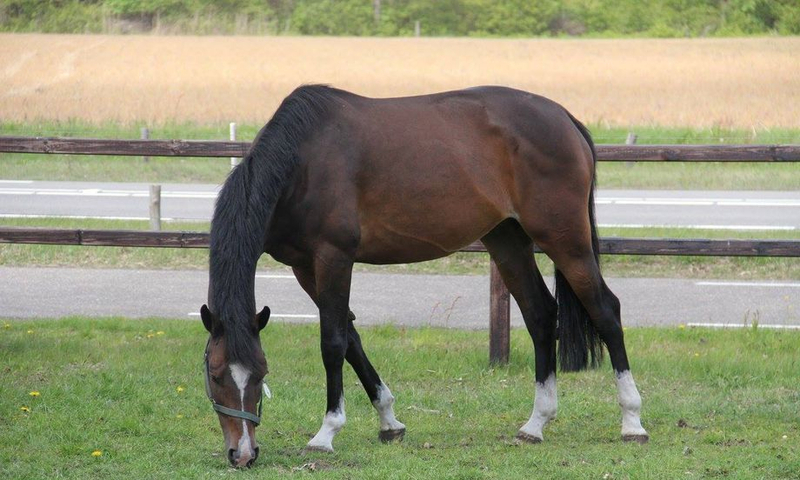 He is a powerful and bold jumper, with a forward, balanced and rideable canter - a great match for Gwenhwyvar. 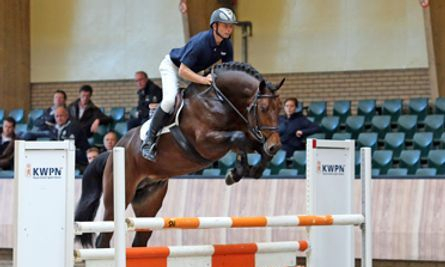 Glasgow and rider Jur Vrieling have also just been named to the 2018 World Equestrian Games team in Tyron (USA) for the Netherlands. 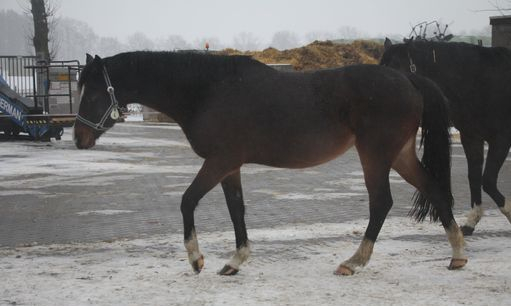 Visiting with Gwenhwvar on Feb 01, she is now 283 days in foal to Glasgow van't Merelsnest. 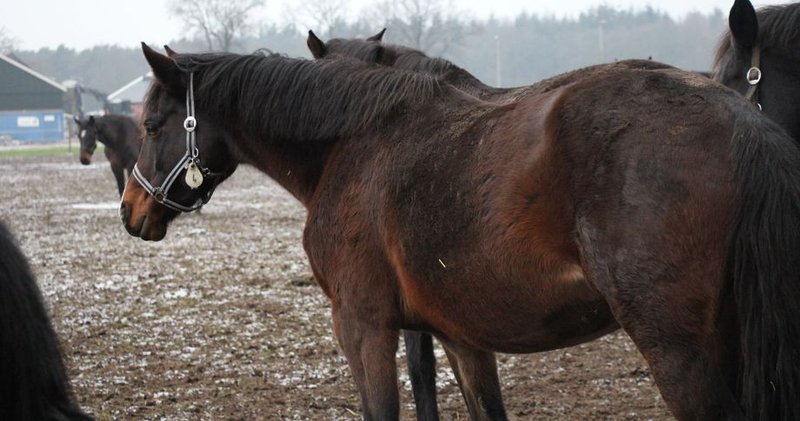 She is definitely looking heavy in foal, and I have no doubt that this foal will have size, substance and power!